Aina Økland Schøld has been active as an artist, soloist and backing vocalist for over 20 years, and she has a huge following in her local community in Rogaland, Norway. She has worked with a wide range of artists and musicians both in Norway and abroad, including several performances with Stavanger Symphony Orchestra. Aina released her debut album “Dagen i dag med deg”, produced by her husband Aril Schøld, in January 2016. Arcane Station is a new electronic pop project based in Vadsø, Norway. 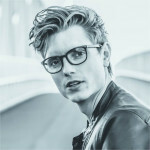 The debut single “Make Me a Bird” featuring Marianne Hekkilæ, was released January 2015 and was warmly received by both radio stations and the streaming audience. The second single “Doin’ It My Own Way”, featuring Lydia Waits, was released in July 2015, just in time for Arcane Stations live debut at Varangerfestivalen. 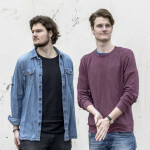 Brother Savannah is a singer-songwriter duo from Lillehammer that consist of the brothers Simen and Espen Langseth Folkestad. They’ve played together as a duo since 2011, and started performing under the name “Brother Savannah” in 2015. They released their debut single “Spread A Little Love” in spring 2016, and are currently working on upcoming singles. Songwriter and artist Carina Dahl has released a string of singles over the last three years, including the hits “Sleepwalking”, “I Don’t Care”, “It Gets Better” and her latest single “(Come a Little) Closer” written by Lise Karlsnes (Briskeby), Thomas Felberg (WE), Elias Kapari and David Hedvall. She has also participated twice in Melodi Grand Prix, the Norwegian selection for Eurovision Song Contest. Parallell to her music career Carina has been a part of the documetary series “Tigerstaden” on Tv2 Bliss, and she’s designed three jewelry collections for Nora Norway. Elouiz was discovered when she was 13 years old as a girl with a unique voice with a wide range. Since then she has gathered stage experience and developed into one of the most promising new artists and vocal talents in Norway. Elouiz – now 19 years old – was born in Sweden and grew up in Maura near Oslo, she speaks both Norwegian and Swedish and feels at home in both countries. Her singles “10”, “Mr. Right” and “Paranoid” have received good response from Norwegian radio stations. In February 2016 she was one of the ten finalist in Melodi Grand Prix, the Norwegian selection for the Eurovision Song Contest, with her song “History”. Erlend Bratland is most known for winning the first season of Norske talenter (Norway’s Got Talent) on TV2 in 2008. His first single “Lost” and the following debut album “True Colors” topped the Norewgian charts for weeks. After almost two year of extensive touring, he retired from the spotlight in 2010. In the autumn of 2014, Erlend returned with his first recording since 2008 when he released the single and video “Silent Sister”. In the spring of 2015 he placed second in the final of Melodi Grand Prix, the Norwegian selection for the Eurovision Song Contest, with his song “Thunderstruck”. Finn Kalvik’s career spans more than 40 years and close to 20 albums. He’s worked with Norwegian poet Inger Hagerup, author Erik Fosnes Hansen and members from ABBA, and has a string of hits in his catalogue. Kalvik is still very active as a songwriter, and is touring every summer with sold-out concerts. 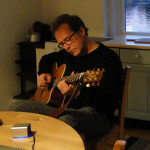 The swedish artist, Göran Fristorp, is a well known singer-songwriter and guitarist. His talents on the guitar are such that at one stage he was accepted as one of 21 candidates for a seat at the world-famous Framnäs Music College. He has worked with some of the best names in Scandinavian Jazz. Fristorp’s critically acclaimed album “Min lyckas hus” was his comeback as recording artist in 2007. 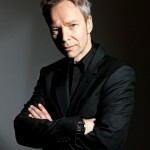 In 2013, he released the album “Klassisk Fristorp”, a best of album recorded with Kringkastingsorkesteret. Henrik Høven is a young and talented artist and dancer from Høvik. Most people know him from MGPjr 2013, where he finished second place with his song “Når jeg ser på deg”. In november 2015 he released his debut single “Ungettlable Girl”, followed by the single “Move” released in August 2016. Henrik is currently working on his upcoming singles. Iselin Guttormsen is a 29 years old singer-songwriter and blogger from Drammen. In the early spring of 2015 she shared a recording of her song “Ylva” on Facebook and Youtube and the song went viral, partly with help from the page “Englepappa”, which was also where Iselin found her inspiration for the song. The single was professionally recorded and released only a few months later. Iselin released her second single “Mirror” in February 2016. Kate Havnevik’s first album Melankton received worldwide critical acclaim, with the New York Times writing: “Melankton takes your breath away”. Eight tracks from the album were used in popular TV shows like Grey’s Anatomy and The West Wing. Havnevik has an angelic voice which, in combination with her piano and an electronic back drop, creates emotional, sweeping tunes. Following a successful second album titled You in 2012, Kate released her third CD called simply &I, in March 2015. Kjell Inge Torgersen from Stavanger is a Norwegian singer and songwriter, who released the critically acclaimed “Aks av gull”, in 2007. The album featered his own Norwegian versions of Sting’s best known songs. His third album “Julelegender” (2011), is a Christmas album where he gives the same treat to a handfull of well known international Christmas songs. Maria Mohn is a Norwegian musician, pianist, singer and songwriter. After her debut album “Bli med meg”, she participated in Norwegian Idol in 2011 and finished in 6th place. Since then she’s released an English album called “Today’s a Yesterday Tomorrow” (2013), and a couple of Norwegians singles the last year. After 15 years in the acclaimed Norwegian (or “afropean” as they would put it) group Queendom, Monica has stepped out on her own – releasing her debut album “Keep It Solid” (2014). The album includes the singles “Homegrown”, “Find a Way” and the radio hit “Tomfoolery” (A-listed at NRK P1, the largest national radio channel in Norway). Paulin Voss is a Norwegian singer/songwriter with a background as a classical cellist. She has contributed on more than 90 Norwegian and international albums. In 2008, Voss released her critically acclaimed debut album “Dragonflies & Hummingbirds” in the pop genre. Paulin’s second album “Soundwave” was released in 2012, which she produced with Jørn Christensen (deLillos, CC Cowboys etc.). The title track got a lot of radio play and was A-listed at the largest national radio channel, NRK P1. Paulin released her third album “Stardust” in September 2015, and several of the singles has already been released and played on radio stations all over the country. 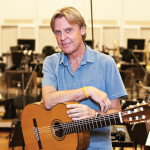 Per Øystein Sørensen was in the 1980′s, the voice behind the best international Norwegian music export second after A-ha; Fra Lippo Lippi. In 2012 Per Øystein released the album “Master of Imperfection” – Per Øystein Sørensen’s first English album in Norway since Fra Lippo Lippis album “Dreams”, in 1992. Reidun Sæther is a Norwegian singer, actor and vocal coach. She has been in several musicals in Norway and Sweden, and in 2012 she was a finalist in the Norwegian selection for Eurovision Song Contest, Melodi Grand Prix, with the entry “High on Love”. Her debut album “Where My Secret Lies” was released in 2014, the same year as she competed in the Norwegian singing and entertainment competition Stjernekamp, where she ended on a 2nd place behind Nora Jabri. 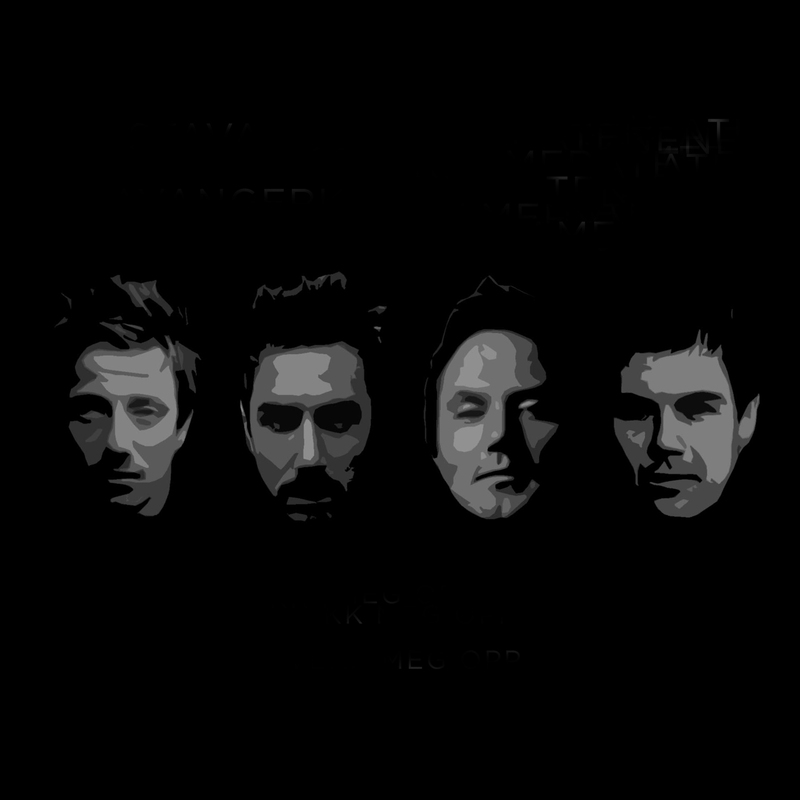 The group has been making music since 2006, but did not release the first album until 2008. The group’s biggest hit is the song “Partyjoik” which also is the name of their first album. In 2011 they won the singing section in the Sámi Grand Prix with the song “Gulatgo Mu” and eraly 2012 they released their second album “Dalveijat”, which is a mix of Norwegian, Sami and English songs. Stavangerkameratene consist of Tommy Fredvang, Kjartan Salvesen, Glenn Lyse and Ole Alexander Mæland. The four artists have all participated in different talent shows on TV, and are widely known to the Norwegian public. Their debut single “Vekk meg opp” is a Norwegian take on Avicii’s hit “Wake Me Up”, and got a lot of media attention. Their second single “Bare så du vett det” is one of the most played songs on Norwegian radio this autumn, and has gained over 1 million streams on Spotify since the release. They’re currently working on their next single. Stine impressed everyone with her performances on Norske talenter (Norway’s Got Talent) in 2012, and became the first female winner of the show. She released the Christmas album “Verden blir hvit” the following year, but is first and foremost an exceptional live artist. In February 2016 she was one of the ten finalist in Melodi Grand Prix, the Norwegian selection for the Eurovision Song Contest, with her song “Traces”. TEIP is a four-piece, Anglo-Norwegian producer collective based in Oslo. Finding common influences in indie electronica, chillwave and elements of PBR&B, TEIP began making music together in late 2013. TEIP are currently working on an EP, expected for a spring 2016 release. 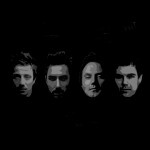 Friendzone is their debut single out on daWorks 9th October. Fredvang is a Norwegian artist, singer and songwriter. He became famous after he participated in the norwegian X-factor in 2009. In 2010 he released his debut album “From Now On”. 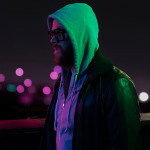 Over the last few years, Tommy has released a series of singles in Norwegian with a more adult electric sound, including “Vampyrane”, “Bli med meg hjem” og “Aldri for seint”. Trygve Kongshavn is a Norwegian songwriter and doctor that write and perform songs for children. His album “For liten og for stor” was released in 2013. Östberg is a young Norwegian producer, songwriter and musician from Son, Akershus. 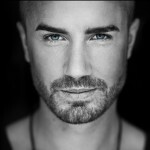 He’s already gotten a lot of interest on SoundCloud, both for his remixes and his own productions and releases. Östberg released his debut-EP “The Life” in July 2016, and several new singles is in pipeline for 2016/2017.